With those crazy, unique, and innovative gadgets, indeed, CES 2015 never fails to amaze me. You thought that Lamborghini just manufactured premium cars? No! 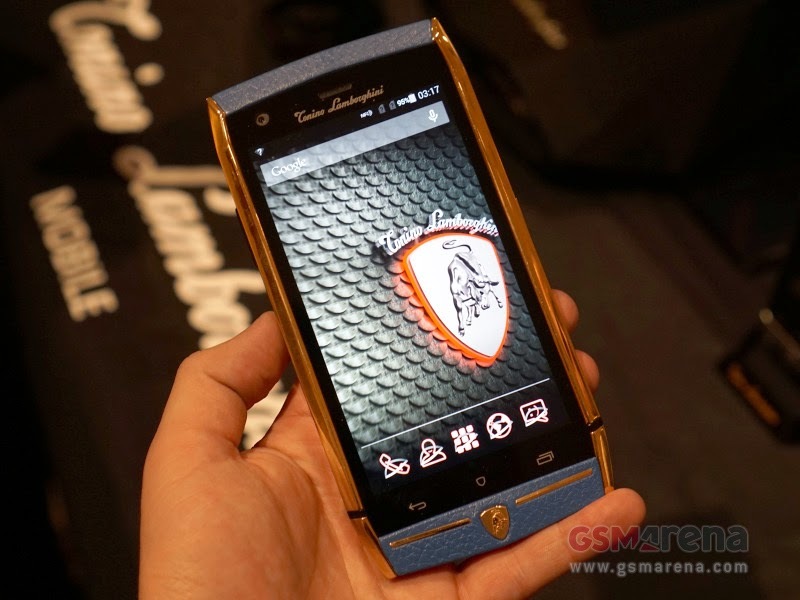 Though it is already announced last December, Lamborghini unveiled its premium-luxurious and limited edition mobile phone to public for a pricey-ranged at $6,000.00. It includes 20MP rear-facing camera and 8MP front-facing camera, and beefy 3400 mAh Battery. Additionally, it features to be a DUAL SIM. Materials: Made of steel (available in Gold, Black or plain steel colors) and leather (a choice of Black, Blue, Red, Orange and Brown) complete with decorative stitches. Why it is called Tonino Laborghini? Tonino is the son of Ferrucio, the founder of Lamborghini.